I recently found out that just before you’re served a raw oyster, that oyster is killed – mercilously ‘shucked’ and then arranged artfully on an icy plate of its recently murdered peers and served alongside an abundance of dipping sauces and lemons. I don’t know why, but I’d never thought about this when debating between the Malpec and the Fanny Bays…Go figure. Could my insensitivity to the murder of oysters be a a direct result of my participation in the Lobster Hunger Games? One of my earliest memories from childhood is racing lobster. No, we didn’t live in Maine and this wasn’t part of a state fair event. We didn’t raise racing lobster or live on a lobster breeding farm. 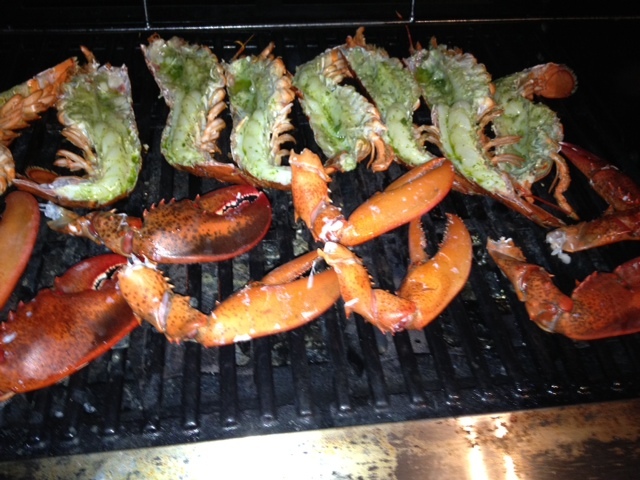 These lobsters were purchased at the local fish monger, alive, and then carted home in a plastic bag. 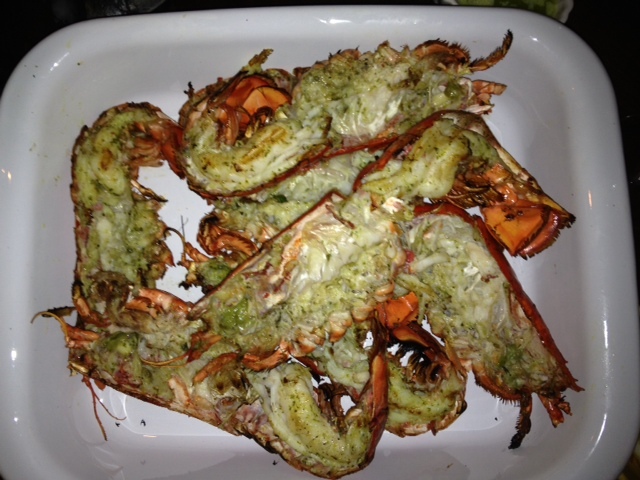 Lobster night was a big deal – An event that maybe happened once a summer and we all looked forward to it. Back then, we had a large circular cement patio in our back yard. When the lobsters arrived from the monger, someone, I’m guessing my mother, would chalk a number on each one’s little crustaceous back. 1 through 6, one for each family member. Then, one of us would draw a large chalk circle on the cement patio. We’d each select one lobster from the pod. We would then name our prize lobster. Then: the naming ceremony, where we would proudly present out lobster to the group – usually Larry, Lenny, Lola or some other “L” name – our attachment to the crustacean deepened. Next, crouched like Katniss I would place my lobster, Lilly-Lobster, in the center. My brothers, sister and parents would all do the same. One! Two! Three! Release your lobster! And – RACE ON: we’d all begin shouting our lobster’s name – urging our prize lobster to get to the chalk line first. I’d shout: Go Lilly! Go! As loud as I could while my siblings and parents urged on their own lobsters. You can do it Lisa! We would continue shouting until one lucky lobster crossed the chalk line of the circle. Someone would claim victory and invariably chant a victorious chant or dance a victorious dance. Ultimate joy and bragging rights awarded to the winner! 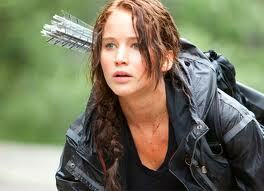 But, this wasn’t the Hunger Games…It was a llittle darker. The rules in Lobster Hunger Games are different. And that joy was soon gone. There’s no escaping death for the winner. All would go in, none would come out. The odds weren’t in any lobster’s favor. Jubiliance was soon replaced by the inevitable end of any lobster tale. 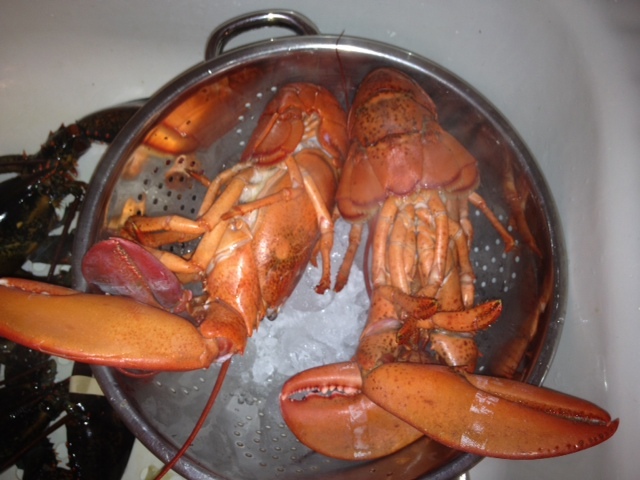 The water was already aboil by the time the Lobster Hunger Games were completed and a lobster had been named champion. You could see the steam from the water on the kitchen windows that faced the arena. And you just knew it was time. Nothing left to build on there. The champion and the losers were carried by their ‘owners’ one by one toward the giant pot of boiling water. One by one we surrendered our prize racer to my father. One by one he lowered the Larry, Lisa, Lenny, Louie, Lola and lastly…Lilly into the boiling water. The next swim Lilly would take would be into drawn butter at the dinner table. It wasn’t until years later that I found out that Lilly the Lobster had no nervous system, could feel no pain and that the sound of her cries as she was put into a boiling cauldron were actually just the sound of air hissing out of the space between her shell and meat. Last night my friends and I turned the torture up a notch and went with the double kill for our feast. 2. Slowly add the juice of 1/2 lemon and 1/2 cup of Olive Oil and pulse again until smooth. It will not be watery, but creamy. Set Aside. 5. 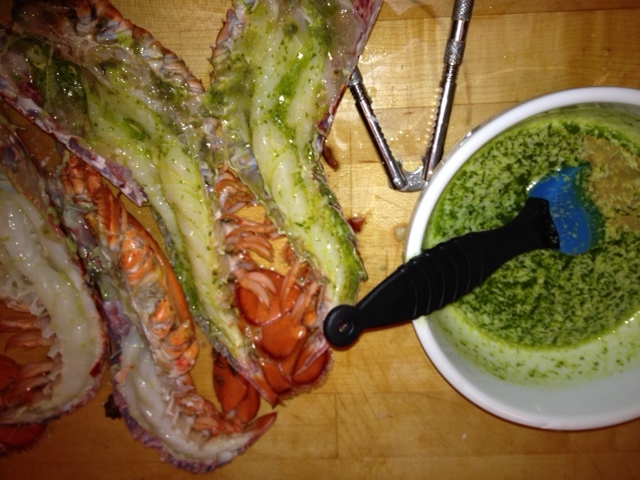 Savagely slice the lobsters down the back of the shell from tip to tail and remove any intestine-y stuff and any roe. Remove each claw and the spinnerettes. 6. 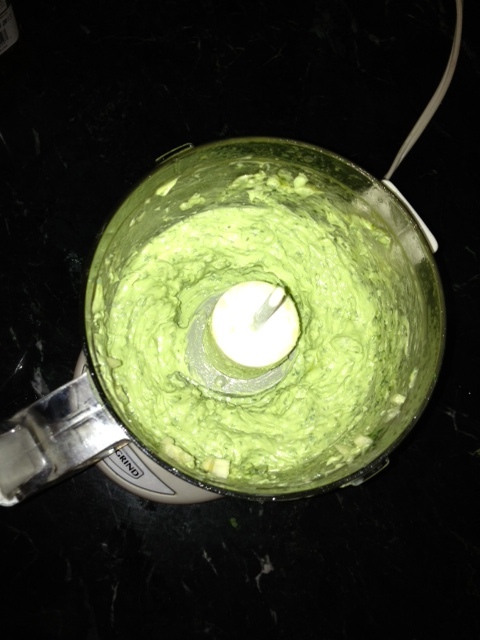 Take 1/2 of the basil/butter mixture and melt in the microwave or over the stove in a sauce pan. I’m not sure what it says about us that we named our lobsters and raced them in the back yard before sending them to their fiery death. I’m always amazed at what people are capable of. But, like Katniss – trained to kill in order to survive – the lure of lucious lobster boiled, grilled and then bathed in a lemony, garlicky basil butter could drive anyone to kill -kill lobster that is. Ohio exists somewhere in the middle – like between New York and Los Angeles. I know that because I am currently visiting Ohio where some of my people live. 2. My niece and nephew need to be fed exactly when they are hungry. This can happen at any time without warning. Last night post-dinner and dessert I was ordered to make chocolate chip pancakes. Later, at 9:30pm, grilled cheese. I, of course, obliged. 3. The local seafood restaurant serves the ‘Catch of the Day’ that has arrived on a plane and was probably the catch of yesterday or the day before. 5. I don’t know if there actually is a station called WKRP here – because my sister-in-law’s minivan only has Satellite radio – that how she rolls. In a minivan with satellite radio…I can open the rear side doors remotely! 6. My People like to make big meats. 4. Prepare charcoal grill for INDIRECT HEAT at approximately 375 degrees. Use medium chunks of applewood and hickory over the coals to create smoke…chunks need to be soaked for at least :30 minutes prior to putting on coals.) Put the meat in a rack over a pan and place 1/2 onion chopped, 2 smashed cloves of garlic and 1 1/2 cups of white wine in the base of the pan. NOTE: The wine, onion, garlic and pork drippings will simmer under the meat during the smoking process – discard after cooking. NOTE: The USDA dropped the safe cooking temperature for Pork to 145 degrees in May of 2011. 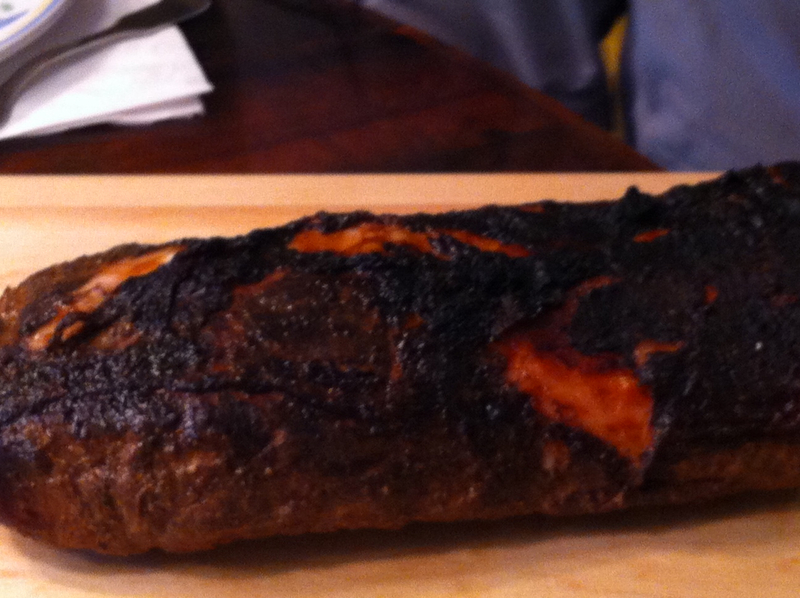 And, the Pork Loin will continue to cook even after its removed from the heat source. I have said many times that I don’t like pork. 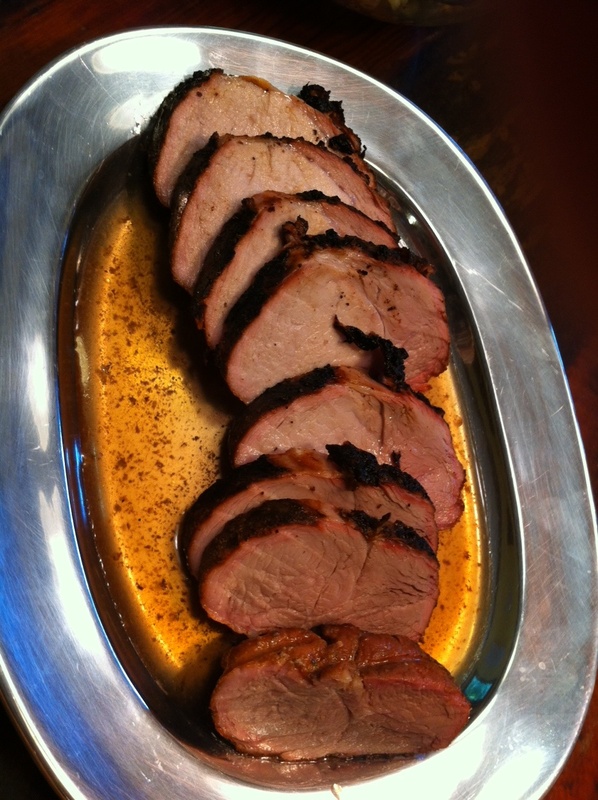 But, changing my mind is my thing….And, this pork was delicious! The giant meat option is generally the opposite of my approach…But, there’s a lot more space in Ohio than in my apartment. And there are more people here to enjoy it. Thanks to my brother for opening my eyes to the marvels of the other white meat.